All Surface devices typically connect to compatible displays using Miracast, a wireless standard that mirrors a smartphone, tablet, or PC's screen to a television's without the need for physical cables. They can also connect via the Microsoft Wireless Adapter. Here's how to connect a Surface to a TV using both and what you can do once you're all set up. While using Miracast won't cost you a thing, the Microsoft Wireless Display Adapter is sold separately. Make sure your display supports Miracast. You can do this by visiting the manufacturer's website for your TV or monitor. Additionally, Wi-Fi Alliance has a continually updated list of Miracast-certified devices. On your Surface tablet, select the icon on the far right to open the Windows 10 Action Center, then select Connect. You should see a list of available devices. Find and select the one you want to connect to. Some devices ask for a PIN or passcode before continuing. After entering the required information, you should see your Surface tablet's screen on your TV. On your Surface tablet, download and install the Microsoft Wireless Display Adapter App. It's free on the Microsoft Store. Connect the HDMI end of the Microsoft Wireless Adapter into an HDMI port on your TV. Connect the USB end of the adapter into a USB charging port on your TV. The Microsoft Wireless Display Adapter draws power from the USB connection. If your TV doesn't have a USB charging port, you can plug the USB end of the adapter into any other USB charger, including a Surface Pro power supply or a Surface docking station. Change your TV input to match the HDMI port you just plugged the adapter into. On your Surface tablet, open the Action Center by swiping in from the right edge of the screen or select the Action Center icon in the taskbar. Select Connect, then select Microsoft Wireless Display Adapter. So, You're Connected. Now What? 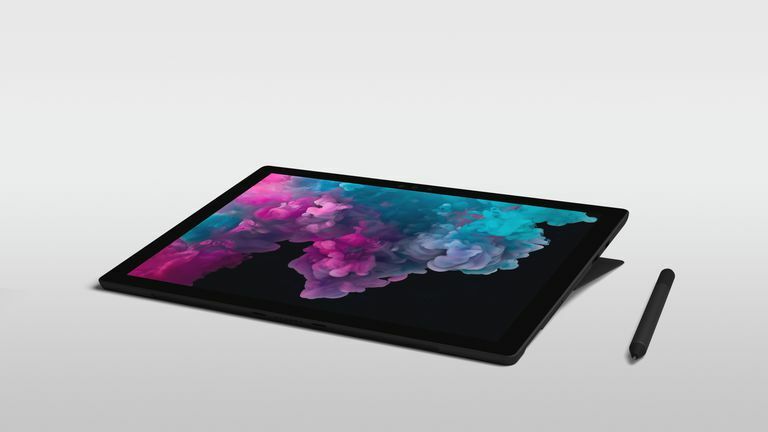 Once you connect your Surface tablet to your television, you can use it as a second screen, meaning you can stream videos wirelessly, display family photos, give a Powerpoint presentation, and more. You can also move apps between your Surface and your TV, or use two or more apps side by side.